Meeting A Match - Ramblings of Mad Shutterbug & the Border Collie Bros. In other news, will be changing a tire shortly. Not unexpected, planned for, except the tire was supposed to last just until I got Sydney Subaru Outback to the tire store. Not quite, alas. However, funding available as of today, so we'll get the job done soon. Um, yeah. Busy day, what? Nevada. Lost Wages (Los Vegas) at the airport. Hahahah! 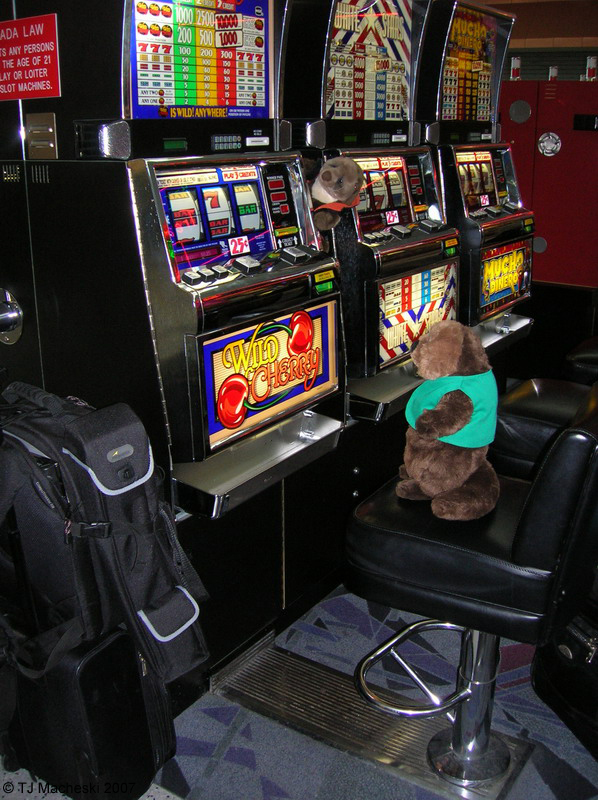 Takes TWO otters to work a slot machine. They are so cute.